Be informed of your missed calls and who it was from without activating your device. 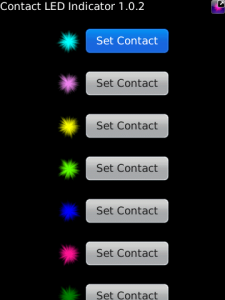 With Contact LED Indicator, you can assign a LED color for each contact so when you get a missed call, it will blink in the color selected for the person trying to contact you. Immediately know who you need to call back with one glance at the LED color. Introducing a new video from MetLife. Life happens. A variable annuity thats designed for it.